with the Buffalo Soldiers of the Rocky Mountains, Inc. 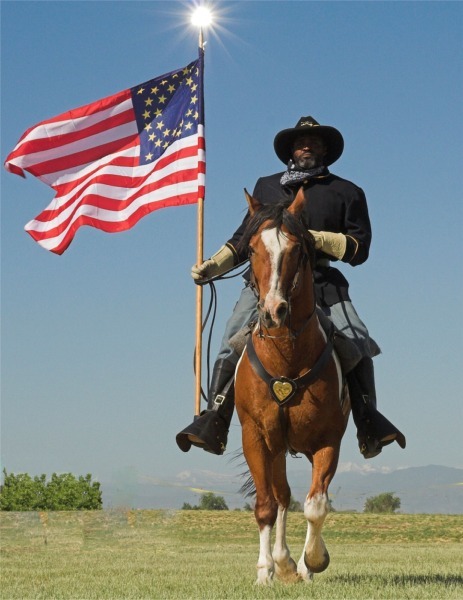 The mission and purpose of the Buffalo Soldiers of the American West are to educate the public about the existence of the Ninth and Tenth United States Cavalry, regiments made up of African-Americans. The organization fulfills its mission by making historical and drill team presentations at schools, to civic organizations, businesses, and participating in other community celebrations of the American West such as parades, and the National Western Stock Show and Rodeo. Authenticity is the goal of all presentations. The group does not discriminate based on religion, ethnicity, gender, or sexual orientation.